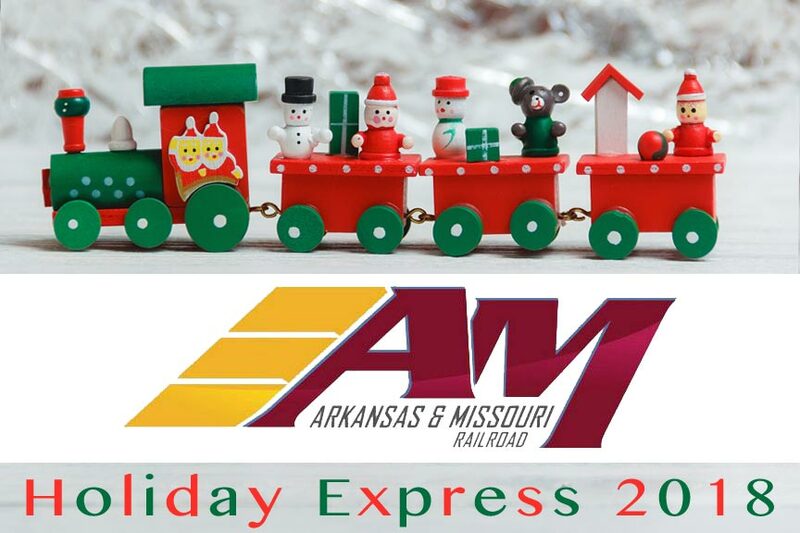 Come experience a magical holiday adventure aboard an A&M Railroad Holiday Express Train. These special, holiday season excursions will take you back in time to a Christmas past – and they aren’t just for kids! There’s something exciting about trains that spark our sense of adventure. The tracks leading off, seemingly either into the future or the past, as far as the eye can see. The noise and bustle; the long cars linked obediently together behind the engine. That sense of entering a world now mostly long since passed. All these elements and more go towards making a rail journey in today’s world seem a very magical and romantic experience, indeed! The A&M Railroad is one of the only commercial lines in the country that still offers both freight and passenger services. Their trains make regularly scheduled trips over the Boston Mountains, along the Arkansas River Basin, and through the Winslow tunnel. These modern, shortline routes have been very successful in both carrying freight and for sight-seeing round-trips. A&M takes the romance and adventure one step further every holiday season with their Holiday Express train excursions. Boarding an A&M Railroad Holiday Express train is like stepping into a classic Norman Rockwell holiday painting. The leisurely elegance of the refurbished, turn-of-the-century, passenger cars will transport you before the train even leaves the station. A&M’s Holiday Express excursions are offered from November 23rd to December 23rd in a variety of guises. There are hour long pizza party trips, three hour long pajama party trips, Christmas Parade trips and more. While these Holiday Express excursions are definitely designed around entertaining the little ones, they aren’t exclusive to children. Many holiday and train loving adults make the trip every year. If you qualify as one or both, we can’t recommend the experience enough! Most Holiday excursions are 1 hour, round trips with Santa, snacks, holiday music, and the stunning scenery of the A&M line. Most excursions also include multiple departure times per date. Be sure to visit the A&M Railroad website for more details. A one hour round trip. A one hour round trip followed by a winter wonderland of games and activities. Ride the train to the Rogers Christmas Parade with a 2 hour layover. Visit amtrainrides.com for tickets, a full schedule, and more information. You can also follow A&M on Facebook. Arkansas is full of beauty, history, and fun for those who take the time to discover it. This includes a wonderful collection of locally owned and operated Arkansas Bed and Breakfasts. Do yourself a real favor the next time you’re in Arkansas and book yourself accommodations in one. You’ll be so glad you did – and Happy Holidays!